Project Appleseed is a program offered by the Revolutionary War Veterans Association (RWVA) that focuses on American Revolutionary War education, basic firearms safety and rifle marksmanship skills. The program started in 2006 in North Carolina, stemming from commentaries under the byline of “Fred” that ran alongside his surplus rifle-stock advertisements in Shotgun News. From those humble beginnings, the program has grown to much larger proportions with thousands of attendees at hundreds of events across the nation every year. 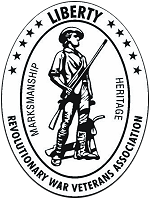 Through Project Appleseed, the Revolutionary War Veterans Association is committed to teaching two things: rifle marksmanship and our early American heritage. We do this for one simple reason, the skill and knowledge of what our founding fathers left to us is eroding in modern America and without deliberate action, they will be lost to ignorance and apathy. I first started hearing “buzz” about Project Appleseed around 2008 or so and appreciated much of what they were doing so I began spreading the word to others about it. However, it wasn’t until 2010 that I attended my first Appleseed marksmanship clinic and I was overwhelmed by the passion that the instructors had for the message that they were giving. The core curriculum is handled over a two-day weekend clinic that covers firearm safety and the basic principles of rifle marksmanship. The clinic is split between shooting theory, live fire and history lessons which focus on the “three strikes of the match” that ignited the American Revolutionary War with an emphasis on April 19, 1775, the battles of Lexington and Concord and the “shot heard ’round the world.” The clinic isn’t about politics or partisan talk; in fact, instructors go out of their way to avoid introducing politics into the mix. The atmosphere at the Appleseed events I have attended has been friendly and welcoming, with attendees spanning all ages, backgrounds, abilities and skill levels. Some of the marksmanship basics covered during the clinic include how to sight in a firearm, sight alignment and sight picture, natural point of aim, breathing techniques and proper trigger technique. Attendees are encouraged to bring a number of items including, among other things, a rifle with a sling, two magazines and 500 rounds of ammunition. Aside from the basic firearms instruction, participants will have several opportunities to earn their Rifleman patch (and the admiration of their peers) by scoring high enough on a marksmanship qualification test. As an added benefit, the clinic also satisfies the Civilian Marksmanship Program (CMP) marksmanship activity requirement for ordering a CMP M1 Garand or 1903A3. Fees for participating in Project Appleseed events vary based on the event and the attendee. Basic prices are $20/40 for one- or two-day attendance for females to $50/80 for one- or two-day attendance for males with discounts for attendees under 18. All Appleseed events are free for law enforcement and active-duty military personnel. We are proud to have several individuals who are involved with Project Appleseed on the GunLink Forums, including the instructors and instructors-in-training (IIT) who moderate the Project Appleseed board (PS – feel free to stop by with any questions or comments you may have). Our resident IIT, who goes by the forum handle “Flame of Liberty,” got involved with Project Appleseed after her mother and brothers attended an event and brought home glowing accounts of their experience. When I was at this event, I was shocked by how nice the instructors were. Even though I wasn’t shooting, they still pulled me along with all the shooters, and taught me as if I was. They even offered me a loaner rifle if I wanted to shoot. What struck me the most was that they could all shoot well, but they weren’t bragging or showing off. They were passing their knowledge along. I thought that was pretty neat, but I still wasn’t THAT interested. Then they started in with the history. I had always read what was in the history books, but nothing like this. Stories of men, women, children, whole towns even, giving up EVERYTHING for a free country. There were no doctors, there was no hospital or 9-1-1, and there was no workman’s compensation. Knowing this, they fought for our liberty anyway, so that I could have a free country. It really struck home. I went home almost in tears. She decided that day that she was going to “going to learn what liberty truly meant, and to not let what our forefathers did for us go to waste” and the rest, as they say, is history. She got involved with Project Appleseed, became an IIT, took home her “orange hat” in February 2012 and has plans to get her “red hat” and become a full instructor late this winter or early this spring. Keep an eye on the GunLink blog for a post-red-hat interview about Flame of Liberty’s Appleseed experience coming soon! To learn more about Project Appleseed, visit their official website or stop by the Appleseed board on the GunLink forums.